“Entering the Quantum Era—How Firefox got fast again and where it’s going to get faster” is an insightful article showcasing the big changes happening with the Firefox browser. It seems, the pendulum is swinging back towards the browser that almost became irrelevant. I think that competition is good for everyone, and it has proven much more so in the end-user applications. New ideas, new approaches, new technologies, and plenty of stimuli for the Google Chrome and other browser teams to respond with something even better. Slashdot is running a discussion thread on what are the best browser extensions these days. The comments cover a variety of browsers and all kinds of extensions. The most popular are, of course, well know. But there are a few gems here and there. 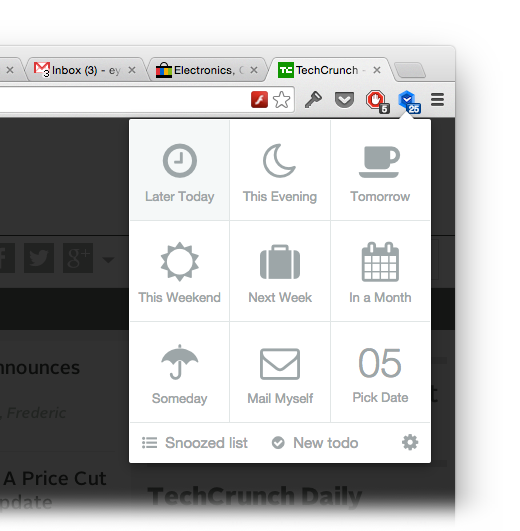 For me personally, I’ve picked the Tab Snooze extension. I’ve tried quite a few tab management solutions, and neither one of them fits my needs even though most tried (I want to run a single browser window, with dozens or hundreds of tabs open, but I want them to be organized into groups and hidden until later, when I need them). Tab Snooze approaches the problem from a slightly different angle. It sets the reminder for when to reopen the tab, and once that’s done, it closes the tab. You can find all snoozed tabs and open them before the due date, of course. This works surprisingly well for me. If only I could control the opening of the tabs with something like “17 tabs were woken up and are about to be open. Continue?”. Currently, I get the notification and the tabs are open automatically, which is often not at the best time. Waking up a lot of tabs can slow the system down a bit and get in the way of things on which I’m working at the time. Firefox.html – an experiment, trying to re-implement the Firefox UI in HTML. Octotree – browser extensions to display GitHub code in tree format. Available for Mozilla Firefox and Google Chrome. It’s been a long time since I stopped being a Firefox fan. Back when it was the only full featured open source browser, it was awesome. But then the development slowed down, the browser started eating memory like a starving Godzilla, and daily application crashes became a norm. On top of it, Google Chrome came out. It was faster, cleaner, and much more stable. It lacked the functionality bits and pieces, but all that was nothing compared to the speed, polish, and stability. And as years went by, Firefox, it seemed, didn’t even try to catch up. 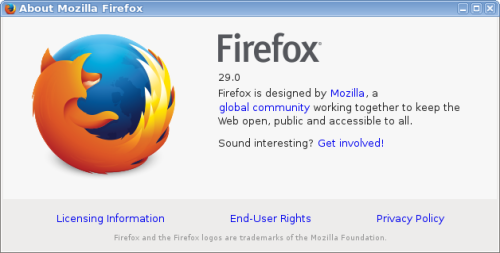 Today, my Fedora updates pulled in brand new and shiny Firefox 29.0 and the first time in years I am actually liking it. The first thing that stands out immediately is the much cleaned up user interface. The tabs look slick and main menu is moved into a single icon to the upper right corner, much like Google Chrome has it. The menu is also reworked into a customizable area of icons, rather than nested text items. The second important addition is the browser synchronization. Once you create an account and enable the sync, your tabs, passwords, history, and forms will automatically synchronize between different machines. That’s a very handy feature for those who have different home and office computers or some other scenario with multiple devices. There is still a long road for the Firefox browser to catch up with Google Chrome though. Two things that come to mind are the performance and the ability to install/uninstall extensions without restarting the browser. But I sure appreciate all the hard work that went into this version. After all, open competition pushes all products and the end user ultimately benefits. It’s been a long while since there was a feeling of competition in the browser marketplace. It’s good to catch a scent of that again. Enhance Facebook And Remove Annoyances! And much more! See the List of Features. 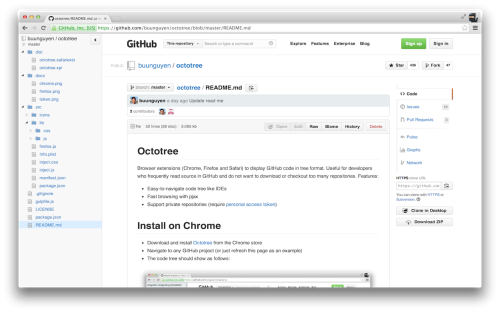 GitHub Explore daily email brought in this awesome repo today. It’s a collection of high resolution web browser logos with transparent backgrounds. It’s not just the five or six major browsers. The collection covers more than 50 (!!!) 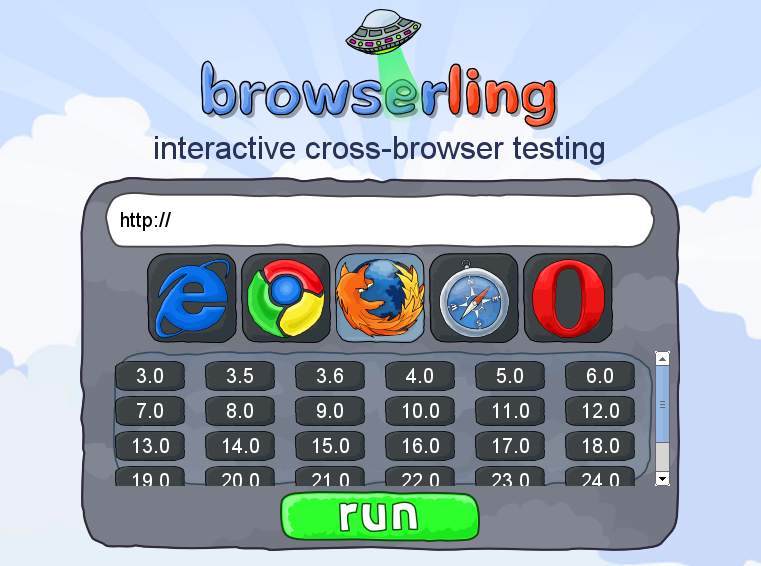 different browsers, with different logos for different versions. This is one and only place to go for when you need that “Best viewed in Internet Explorer 6” sign. Pentadactyl is a free browser add-on for Firefox, designed to make browsing more efficient and especially more keyboard accessible. Largely inspired by the Vim text editor, the appearance and finger feel of Pentadactyl should be familiar to Vim users. Additional web-specific features, such as our ‘Hint’ mode, command interface, and key bindings to automatically follow back and forward links, make it easy to navigate without touching the mouse and give Pentadactyl a habit forming nature of its own. Pentadactyl is a fork of the Vimperator project by most of its primary developers. Major differences include a 7-fold startup speed improvement and other speed improvements elsewhere, the command-line is hidden by default, better private mode and :sanitize support, better forward and reverse incremental find support, and the ability to separate multiple Ex commands with a |. Via this LWN post I came across a very insightful blog post by Brian Jono, one of those many people who develop Mozilla Firefox. 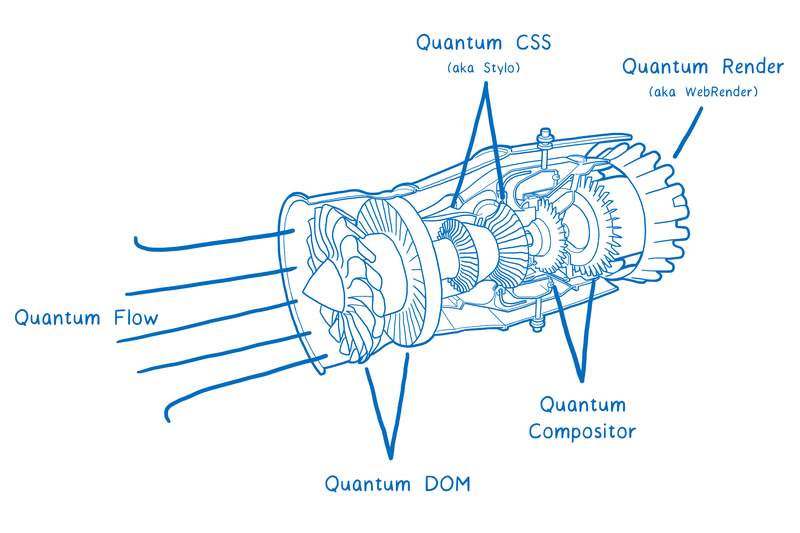 In his blog post Brian talks about Firefox’s rapid release cycle and how it drove a lot of people to Google Chrome. There’s nothing new to that. But Brian’s post is a must read for anyone involved in software development – there are several lessons to learn. Here are a few bits that I found interesting. I’ve been thinking a lot about the fundamental disconnect between the developers and the users. I think it comes down to: Software developers have a perverse habit of thinking of updates/new releases as a good thing. So many companies release updates which radically change the interface for no significant gain — they seem to be moving sideways rather than forward, changing things around for the sake of change. Maybe their UI designers are bored and need to do something to justify their jobs, I don’t know. After years of aspiring to improve software usability, I’ve come to the extremely humbling realization athat the single best thing most companies could do to improve usability is to stop changing the UI so often! Let it remain stable long enough for us to learn it and get good at it. There’s no UI better than one you already know, and no UI worse than one you thought you knew but now have to relearn. I have another theory, too: When software companies get to a certain size, they start taking their users for granted. They start treating their users as pawns in a battle against some other company. Faceless millions. Gotta copy everything the other company does, or risk falling behind. So they end up doing everything the other company does whether the users want it or not, and probably doing a crappy job to boot. Software companies would do well to learn this lesson: anything with the phrase “users love our product” in it isn’t a strategy, it’s wishful thinking. Your users do not “love” your software. Your users are temporarily tolerating your software because it’s the least horribleoption they have — for now — to meet some need. Developers have an emotional connection to the project; users don’t. There’s more. Just read the whole thing, it’s well worth it.